Welcome To LCS Janitorial Service & Supply Inc.
LCS Janitorial Services are available 24 hours a day 7 days per week. Our specialty is offering customers the ability to deal with one company for all their service and supply needs! We offer construction cleanups, complete office cleaning services, stripping and refinishing of floors, carpet and furniture steam cleaning, window cleaning, pressure washing, tile and grout cleaning, and clean room services. We service a diverse client base of schools, child care, healthcare, research facilities, distribution centers, warehouses, commercial office buildings, industrial facilities, financial institutions, and government agencies. We offer a complete line of janitorial supplies, cleaning chemicals and equipment. Our service center maintains your equipment at our facility or yours. We offer pickup and delivery of equipment at the customer's request. Our Nobles line of equipment offers great quality at an affordable price. LCS can also help you reduce costs, improve performance and create healthier operations through a dedicated LEED program. Click the icon above to view THE LCS GREEN PROGRAM. 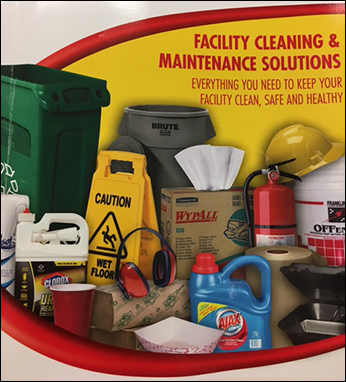 LCS offers easy online ordering for all your janitorial supply needs, request a catalog AND order below!